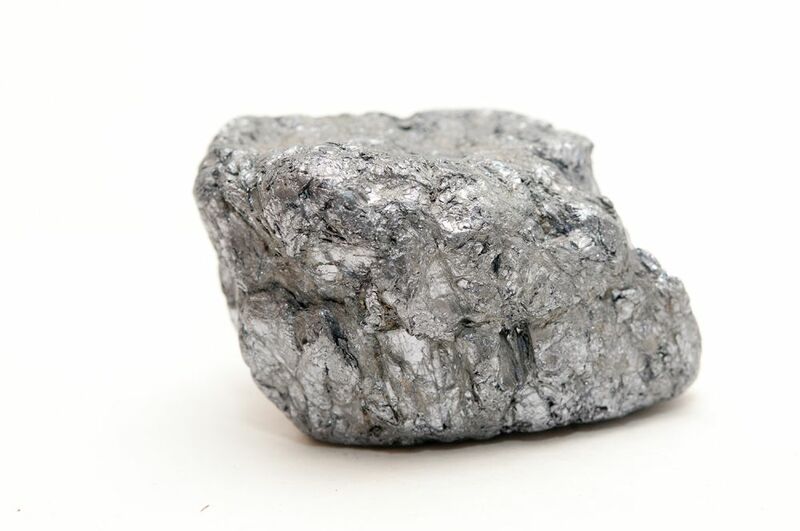 Molybdenum (element #42, symbol Mo) is a metallic, lead-gray element, with a high melting point (4,730 degrees Fahrenheit). This is 2,000 degrees higher than the melting point of steel, and 1,000 degrees higher than the melting temperature of most rocks. Molybdenum was discovered by Carl Wilhelm Scheele in 1778, and was isolated and named by Peter Jacob Hjelm in 1781. The most important ore source of molybdenum is the mineral molybdenite; a minor amount is recovered from the mineral wulfenite. Molybdenum commonly is recovered as a by-product or co-product from copper mining. The U.S. produces significant quantities of molybdenite. The major producers of molybdenum in 2013 were China, the USA, Chile, Peru, Mexico, and Canada. Molybdenum occurs as the principal metal sulfide in large low-grade porphyry molybdenum deposits and as an associated metal sulfide in low-grade porphyry copper deposits. Resources of molybdenum are adequate to supply world needs for the foreseeable future. When molybdenum is found in low-grade copper deposits, it is typically mined through open pit methods and recovered as a by-product of the copper refining. When molybdenum forms its own low grade porphyry deposit, the concentration of molybdenum may be of enough grade to merit the cost of an underground operation. Molybdenum is an important material for the chemical and lubricant industries. “Moly” has uses as catalysts, paint pigments, corrosion inhibitors, smoke and flame retardants, dry lubricants, on space vehicles and is resistant to high loads and temperatures. 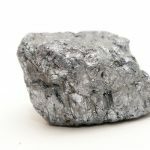 As a pure metal, molybdenum is used as filament in light bulbs, metal-working dies and furnace parts. It is alloyed with steel making it stronger and more highly resistant to heat. The iron and steel industries account for more than 75% of molybdenum consumption.